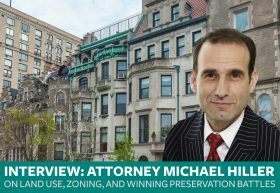 Michael Hiller is a zoning and land-use attorney who has represented community groups in seemingly impossible quests for about 20 years. His high-profile cases have often been against the Landmarks Preservation Commission, notably Tribeca’s iconic Clock Tower Building and new construction along historic Gansevoort Street, both of which are pending appeal by the defendants. As one legal observer commented, “He has become an expert in the nuances of the Landmarks Law from a legal perspective. In court, he is very talented on his feet before a very hot bench, before judges who ask a lot of tough questions.” His successes have won him designation as a Super Lawyer every year since 2009 as well as the 2017 Grassroots Award from the Historic Districts Council. 6sqft recently visited Michael at his office to learn more about his work. 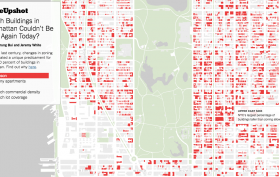 Many feel that the city’s current construction boom is unprecedented, but while towers may be reaching new heights, according to a new report by architecture firm KPF, nearly three-quarters of the city’s existing square footage was actually built between the 1900s and 1930s. 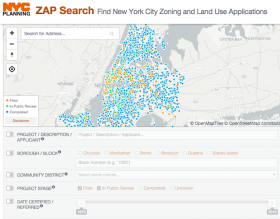 More interestingly, The Times points out that forty percent of the buildings that currently make up Manhattan could not be built today because they break at least one zoning code violation—among which include being too tall, having too many residential units, or having too much commercial space.